Overlocker, serger, merrow machine... whatever you want to call it, I knew I needed one. Not that it's completely necessary to have one when cutting and sewing knits. (All the necklines I've cut previously were sewn first with a regular zigzag on a basic sewing machine, then cut with a pair of shears.) But seriously, unless you're really adept at using this technique doing 3 times the work, a serger is the way to go. Pressure control of the presser foot -- My thought was that I'd be serging some pretty thick fabrics so I'd want pressure control. It turns out that I've now tried my thinnest jersey and my thickest tucked double jacquard, my slipperiest bamboo and a fulled (almost felted) wool, and I haven't needed to make one adjustment to the pressure yet. Tension adjustments, yes. Pressure adjustments, no. But that doesn't mean I won't have to some day. 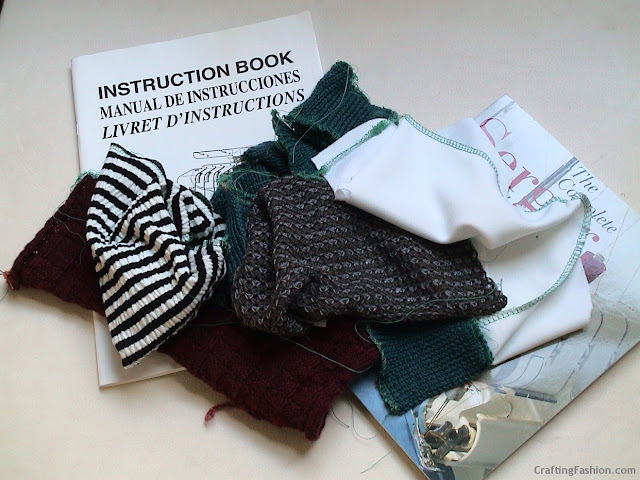 Four threads -- Everyone agrees that for the type of knit fabric I'll be working with and for what I'll be doing, at minimum, a 4-thread serger is required. Lots and lots of brands and machines fit the bill. I'm not going to do a review of my machine nor make any recommendations. But I did make a choice and so far so good. Since the machine came pre-threaded with about 18 inches in each of 4 colors, I merely had to tie my threads on to the ends, pull them through and then thread the eyes of the needles and loopers. And I was ready to begin. The good, the bad, and the very bad: I'm practicing. I've been experimenting with different weights of knit fabrics (some knitted by me), working on getting correct tension, having fun, learning. I used 4 threads to make the seam on this double knit (full needle rib). 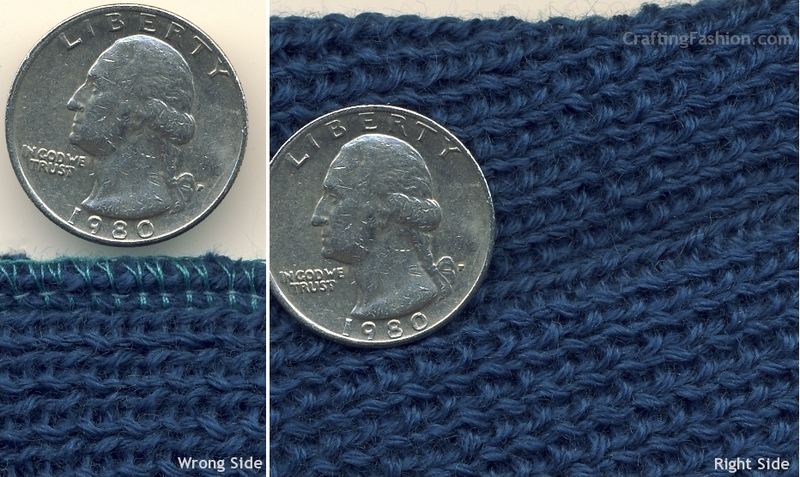 You can make out the seam extending from the bottom of the quarter on the right side. It's not been blocked, not perfect, but not too bad! Tomorrow, as an exercise, I will totally have my way with the overlocker. I shall completely unthread it and then thread it back up, by myself. Wish me luck.